Anybody interested in prayer as a global human activity will find something to like in this collection of thoughtful, well-crafted pieces. 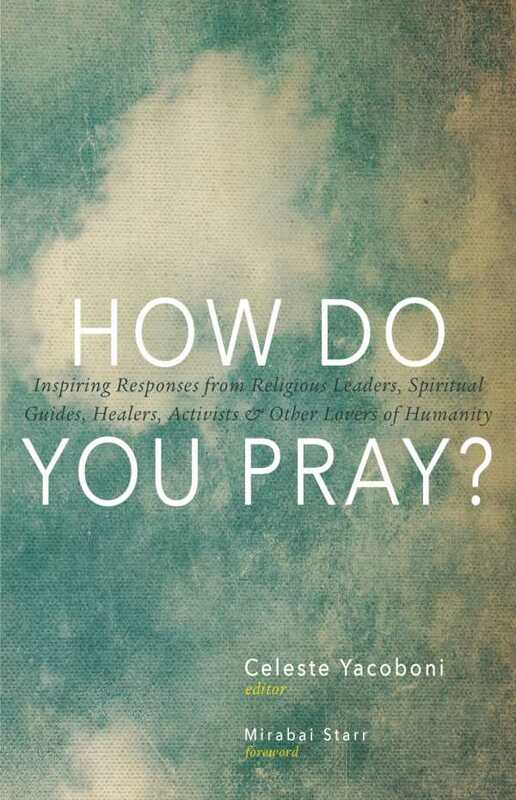 In How Do You Pray?, editor Celeste Yacoboni compiles hundreds of brief, first-person musings that, rather than offer instruction on how to pray, provide insight into myriad ways to pray. Yacoboni casts a wide net across the spiritual world, offering more than two hundred entries made up of essays, poems, and artwork. The scope of her collection is liberal enough to include the prayer practices of everyone from traditional Catholics to evolutionary mystics. The egalitarian breadth of the book is, indeed, one of its most alluring qualities. It’s rare to discover a book on the subject of prayer that attempts to offer something for everyone. But Yacoboni accomplishes this feat with ease. The entry from Peter Makena, whose spiritual practice is grounded in Sufism, may sum up the overriding ethos of Yacoboni’s editorial decisions. “I cannot distinguish where I end and prayer begins. … Prayer is who I am.” But it is the details of each person’s personal relationship to a higher power that reveals the full richness of Yacoboni’s efforts. The scope of this book ensures that virtually anyone will find at least one entry that resonates on a personal level. But How Do You Pray? is challenging as well as comforting. This is a book that necessarily gives rise to questions, such as: If prayer can be everything and anything, how will I recognize it when I see it? How will I know when I’m praying? Anybody interested in prayer as a global human activity will find something to like in this collection of thoughtful, well-crafted pieces. Page after page offers both poetic and practical eloquence, from Sita Jamieson Caddle comparing prayer to “dropping a bucket into a deep well and then pulling it back up,” to Peter Russell asking for “divine intervention in my mind, for therein lies the root of my discontent.” This book is an easy read in the best sense. It lends itself equally to the delight of taking it all in with one big swallow, or savoring the work a few pages at a time. For anyone who wants to think carefully and widely about what prayer may actually be, How Do You Pray? is a great place to start.